Musk finds himself in an unusual position -- asking for help. For a Thursday night, the Leo Baeck Temple was packed. It wasn’t a major Jewish holiday but people were jammed into the temple’s vestibule, waiting for the doors to open. They weren’t there to worship any of the classic religious deities; they were waiting for Elon Musk, a person who is certainly worshipped. But last night, the 46 year-old CEO found himself in an unusual position for an executive: He was asking for help. Musk was there to talk about the Boring Company, an endeavor he’s said occupies only a fraction of his time, but one in which he still needs to convince Angelenos is a good idea. When the doors opened, nearly 750 people filled the temple to capacity — an assortment of bloggers, enthusiasts, journalists, and friends of the temple. The Boring Company aims to put 16-passenger public transit skates in tunnels at least 30 feet below the surface, and charge passengers $1 per ride. Top speed: 170 mph. When Musk took the stage with Steve Davis of SpaceX and the Boring Company, the audience roared. It quickly became clear that the evening wasn’t about new ideas. Instead, it was a rally for public support and a gentle rebuttal of the mounting criticism by community groups and some public officials who aren’t sold on Musk’s vision of the future. Without mentioning any of his opponents by name, or even acknowledging their existence, Musk couched his rebuttals in excitement over the potential technology. And for the audience, there was a lot to be excited about, even if most of it was old news. But if you’ve been paying attention to Musk, you’ve heard that all before. He first brought up tunnels in December 2016. And you’ve probably heard what comes next. This Boring Company animation was first revealed by Musk in April 2017. Explaining the difference between the Loop (a souped-up subway system that would send 16 people in small, car-sized pods racing around the city at over 170 mph) and the Hyperloop (a city-to-city transit system using similar pods, accelerated to over 750 mph in a vacuum-sealed tube). Both would use parking-space sized stations for entry and exit. But then Musk broke new ground when he gave the audience a firm price on pod tickets: $1. And that was the end of any new info, save for a delivery update on the Boring Company Not-A-Flamethrower. He said that the company’s branded $500 “not-a-flamethrower” will start shipping to customers in just two weeks. Musk has faced a number of regulatory hurdles to get the product off the ground, which has led to a rather unusual delivery method: Boring Company workers will deliver them in vans. The biggest physical challenge the Boring Company faces isn’t the digging, though. It’s removing the muck, which could be compressed into bricks, then sold to help assuage the costs of drilling. They’re very good bricks, Musk said dryly. The entire process, Musk says, has been a learning experience. But, now that they have a better handle on the drilling and a clearer blueprint for the technology, the next step is a prototype test track for the Loop system. At this point, it seemed like Musk and Davis pivoted to the real reason they were holding this session: Addressing concerns that had been raised by community groups and some public officials over the past year. While the Boring Company already has a test tunnel built behind SpaceX headquarters in Hawthorne, Musk wants to build a proper test track to prototype the Loop. The proposed site runs 2.7 miles along Sepulveda Boulevard on the westside of Los Angeles. The Hawthorne City Council gave The Boring Company the OK to build this underground test tunnel back in August. Musk has far bigger plans for the Boring Company, though. After doing an initial environmental impact study for this project, the Boring Company was granted an exemption from the California Environmental Quality Act (CEQA) by the City of Los Angeles. If the Boring Company were forced fulfill the requirements of CEQA, testing would be slowed down considerably, as “getting a CEQA approval can take sometimes a year, sometimes two years,” he said. Earlier this month, two community groups — the Brentwood Residents Coalition and the Sunset Coalition — filed a joint lawsuit against the city, arguing that it violated state law by effectively fast-tracking the project. In the lawsuit, they argue that CEQA “prohibits piecemeal” approval of a project. Since this test tunnel may be part of the larger Loop system, they argue that the Boring Company ought to be forced to complete an environmental impact report and go through the CEQA process for the entire Loop system before the test track project can be approved. But Musk hinted that this kind of large-scale study would be premature. “We need to figure out what the large network will be and use the research tunnels to figure that out,” he said. 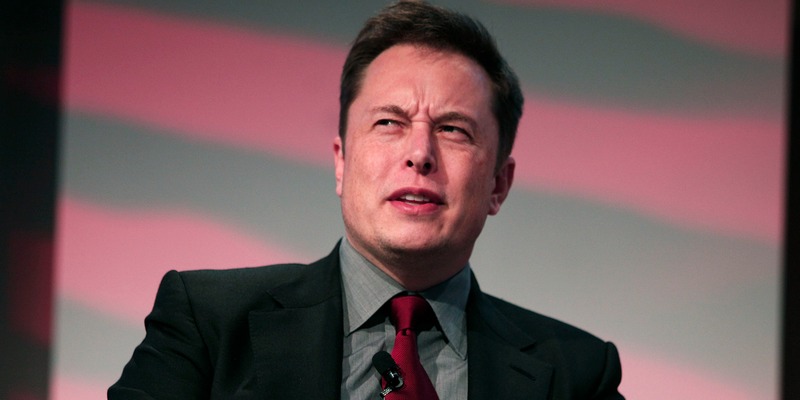 “You know, like a weird little Disney ride in the middle of LA,” Musk said. “You can bring your flamethrower,” he joked. Once they know what the larger Loop network would look like, Musk said, they would immediately take on a full environmental impact report. “We want to do everything right,” Davis said, reaffirming their commitment to being good neighbors and following the rules. Los Angeles city leaders may soon contend with another lawsuit because of this fast-track. Last week, the LA Times reported that Culver City — where part of the proposed tunnel would end — brought up similar concerns, though it hasn’t filed a lawsuit yet. This isn’t the first time Culver City officials have spoken out against the Boring Company. In January, Culver City Councilmember Meghan Sahli-Wells noted that taxpayers have been pouring money into the Metro system for years now. “To me, this looks like competition for something that, you know, we know actually works,” she said in a public hearing. Here's the full 58-minute presentation. Over the course of the evening, Musk and Davis repeatedly emphasized their commitment to working with the city and getting the appropriate permits. However, they spent even more time making the case that they would be good neighbors. “There’s the potential for significant breakthrough, but that can only happen with public support and if we can ask for your support that would be great, and I really appreciate it,” Musk said, rousing some applause in the room. Despite never naming his opponents, or even acknowledging their existence, Musk started laying the groundwork for what appears to be the beginning of a long public relations push. “Los Angeles is like New York is for plays — if you can build a tunnel in Los Angeles, you can build a tunnel anywhere.” Or everywhere, which is precisely Musk’s goal. Bradley Bermont is a reporter living in Los Angeles. His work has appeared in the Daily Beast, the California Report, and the Huffington Post. He has a Master’s degree in journalism from the Annenberg School for Communication and Journalism. Follow him on Twitter at @bradleybermont.